extricating patients, hazardous materials incidents, and responding to WMD incidents. sequence to complete the Program. completing all E-Book Quizzes, and “Pass” the Skills Lab, to move on to the next course. 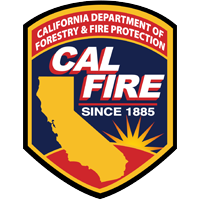 issued by a State EMS Agency, or the California Fire Marshal’s Office, or the NREMT. for a score not meeting the standard. Pass all Skills Labs to move on to their Clinical Internship. receive the minimum cut score listed for the cognitive exam or will not progress in the course. Expectations on all written treatment plans. b) You must have this prior to clinical rotations. The transferability of credits you earn at Orange County EMT is at the complete discretion of an institution to which you may seek to transfer. Acceptance of the Course Completion Certificate you earn thru OCEMT is also at the complete discretion of the institution to which you may seek to transfer. If the Course Completion Certificate(s) that you earn at this institution is/are not accepted at the institution to which you seek to transfer, you may be required to repeat some or all of your course work at the institution. For this reason you should make certain that your attendance at this institution will meet your educational goals. This may include contacting an institution to which you may seek to transfer after attending Orange County EMT’s Paramedic Program to determine if your Course Completion Certificate will transfer. Orange County EMT does not award credit earned from another training institution and/or college or university. The Paramedic Program is an intense, challenging course that includes protocols that are specific to Orange County. Any previous education in Health Science or Emergency Medicine will be beneficial to the student, however will not count as credit earned for this course. Failure to abide by all local and federal laws will be grounds for immediate dismissal from the program. Furthermore, all Rules of conduct found under “Program Code of Conduct” shall be followed with strict adherence. Any student dropped for violation of any policy shall be dropped from class without a refund. Any student found cheating will be immediately removed from class and dropped without a refund. Any student found under the influence of any intoxicant will be immediately removed from class and dropped without a refund. Violence or threatening behavior will not be accepted in any way. This will lead to dismissal and notification to local Law Enforcement. Failure to meet objectives stated in course achievement criteria will result in dismissal from this program. Also, any unlawful, unethical, or act seen as dishonest outside the guidelines set forth by the State of California EMS Authority or Orange County EMS may result in program expulsion. If such an occurrence does take place, there will be no refund of any kind for the student that has been separated from Orange County EMT’s training program. 11. The Emergency Medical Technician refuses to participate in unethical procedures, and assumes the responsibility to expose incompetence or unethical conduct of others to the appropriate authority in a proper and professional manner. the exams, graduates can obtain a State Paramedic license through the CA State EMSA office. 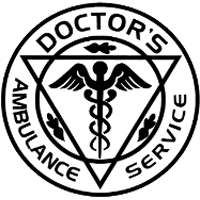 Once received, candidates can apply for jobs as an Emergency Medical Technician Paramedic. The affective domain is measured through 11 attributes that are worth up to 2 points each for every domain that the student displays. Students must receive a score of 22 or meet expectations for all 11 attributes on their final evaluation to pass the course. Examples of professional behavior include, but are not limited to: Clothing and uniform is appropriate, neat, clean and well maintained; good personal hygiene and grooming. 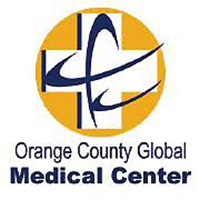 Orange County EMT has established a fair and equitable refund policy for the refund of tuition, fees, and other institutional charges in the event a course is cancelled, a student does not enter the course in which they enrolled, or does not complete the period of enrollment for which the student has been charged. AAOS, Nancy Caroline’s Emergency Care in the Streets, 8th edition, Volumes 1 & 2. I, —————————————————————, am enrolling in the Emergency Medical Technician Paramedic Course offered by Orange County EMT. 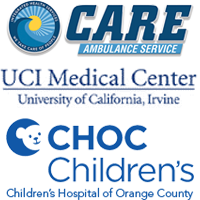 I understand that the course requirements adhere to the standards of Title 22, Division 9 of the State Legislature, the sole policies and procedures of Orange County EMT, the standards of the National Registry of Emergency Medical Technician’s, State of California Emergency Medical Services, and Orange County Emergency Medical Services. 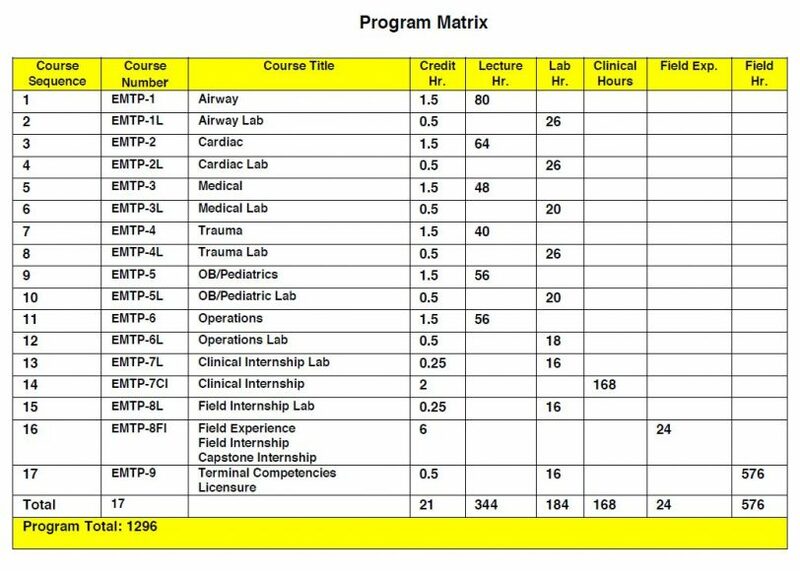 By signing below the student acknowledges the course is 1296 hours, comprised of 3 sections including Didactic, Clinical Internship, and Field Internship. A passing score of 80% must be achieved on ALL exams to allow the student to proceed to the next section. All course sections must be completed to achieve a Course Completion Certificate and failure to pass ANY portion of the course will disqualify the student from moving forward to the next section. This Enrollment Agreement is valid for a period from the first day of class on ————————————————————— through the last day of class on —————————————————————. This Enrollment Agreement is legally binding when signed by the student and accepted by ORANGE COUNTY EMT. DEPOSIT/REGISTRATION FEE- $2,500.00 ENROLLMENT FEE REQUIRED TO ENROLL IN THE COURSE AND WILL BE DEDUCTED FROM THE TOTAL TUITION. IF PAYMENT IS NOT MADE IN FULL THE STUDENT WILL HAVE 14 DAYS FROM THE COURSE START DATE TO PAY THE BALANCE OR WILL BE PLACED ON A PAYMENT PLAN. THE COURSE FEE OF $10,000 COVERS THE PERIOD OF ATTENDANCE AND IS EQUIVALENT TO THE ENTIRE EDUCATIONAL PROGRAM. THERE IS A $2,500.00 DOLLAR ENROLLMENT FEE, WHICH IS DUE AT SIGNING AND IS DEDUCTED FROM THE TOTAL TUITION OF THE CLASS. repay the full amount of the loan plus interest, less the amount of any refund. If tuition and fees are collected in advance of the start date of classes and the student does not begin classes or withdraws on the first day of classes, no more than $100 of the tuition and fees may be retained by the institution. Appropriate refunds for a student who does not begin classes shall be made within 45 days of the class start date. 1. During the first 10% of the period of the didactic financial obligation, the institution shall refund at least 90% of the tuition. 2. After the first 10% of the period of financial obligation and until the end of the first 25% of the period of obligation, the institution shall refund at least 50% of the tuition. 4. After the first 50% of the period of financial obligation, the institution may retain all of the tuition. “The State of California created the Student Tuition Recovery Fund (STRF) to relieve or mitigate economic losses suffered by students in educational programs who are California residents, or are enrolled in a residency program attending certain schools regulated by the Bureau for Private Postsecondary Education. fees or any other purpose, or to provide equipment or materials for which a charge was collected within 180 days before the closure of the school. 3. The school’s failure to pay or reimburse loan proceeds under a federally guaranteed student loan program as required by law or to pay or reimburse proceeds received by the school prior to closure in excess of tuition and other costs. Students have a right to cancel and obtain a refund of charges paid through the first day of attendance or 7th day after enrollment, whichever is greater, minus the $2000.00 dollar enrollment fee. If a student has received federal student financial aid funds, the student is entitled to a refund of moneys not paid from federal student financial aid program funds. A student requesting cancellation of their Enrollment Agreement must do so verbally and in writing to the Program Director, within 1 week of signing the contract. The student will then sign a “Cancellation of Enrollment” form which will be stored with the students original Agreement. medical attention during the Program. Clinical Internships are assigned based upon the Internships Sites availability. Internship times and dates will vary upon the site that you are visiting at the discretion of the ER staff. Clinical sites must verify with OCEMT that they can accommodate each student in the Program, prior to the course start date. Every attempt will be made to place students in a timely manner, however students are only guaranteed to be placed within 6 months of the Final Exam, or as they become available. Field Internships are assigned based upon the Internships Sites availability. Internship times and dates will vary upon the site that you are visiting at the discretion of EMS Coordinator. Internship sites must verify with OCEMT that they can accommodate each student in the Program, prior to the course start date. Every attempt will be made to place students in a timely manner, however students are only guaranteed to be placed with in 6 months of completion of the Clinical Internship, or as they become available due to unforeseen circumstances. 2. The mental ability to think clearly and act decisively during emergency situations. 3. The ability to use proper body mechanics, motor control, sensory function, and have the coordination to perform physical examinations using accepted techniques. Students must have the hand and eye coordination needed to safely perform technical skills on patients. 4. Students must have ability to communicate effectively to all patients regardless of age, gender, or ethnicity, including colleagues and individuals from different cultural and social backgrounds. Students must be able to understand and speak the English language at a level consistent with competent professional practice. 5. Students must have the ability to document patient reports accurately, using proper English, and have the ability to calculate medication dosages using the appropriate math equations. 6. Students must have the ability to accept positive criticism and have a willingness to learn from their mistakes. Students must work as a team member and be committed to serving the community to the best of their ability. 7. Students must have the ability to be flexible and operate in dynamic environments, while always being a patient advocate, regardless of circumstances. 8. Students must have the physical strength to lift and carry patients any varying circumstances that includes up and down stairs. 9. Students will work in potentially dangerous environments and have the forethought to utilize proper Personal Protective Equipment and have the ability to expect the unexpected. 10. Students must display a command presence when working as a team leader, have the ability to maintain scene control, and have the knowledge and ability to order proper resources when needed. Orange County EMT students are required to meet the technical standards of the program or be able to meet them with certain accommodations. 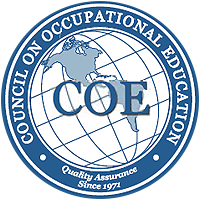 If a student can meet the technical standards with accommodation, Orange County EMT will determine if the accommodation is appropriate. This is achieved by evaluating whether or not the request is reasonable, accounting for patient safety, the educational process of the student and institution, and whether or not it will be permitted during the clinical and filed internship.